Ending GMO’s…we are just getting started. Live as if the future matters…..because it really does. The BP oil spill, Fukushima, GMO’s…. 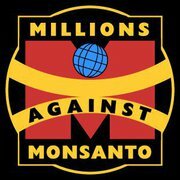 Millions Against Monsanto-What’s the problem with Monsanto? 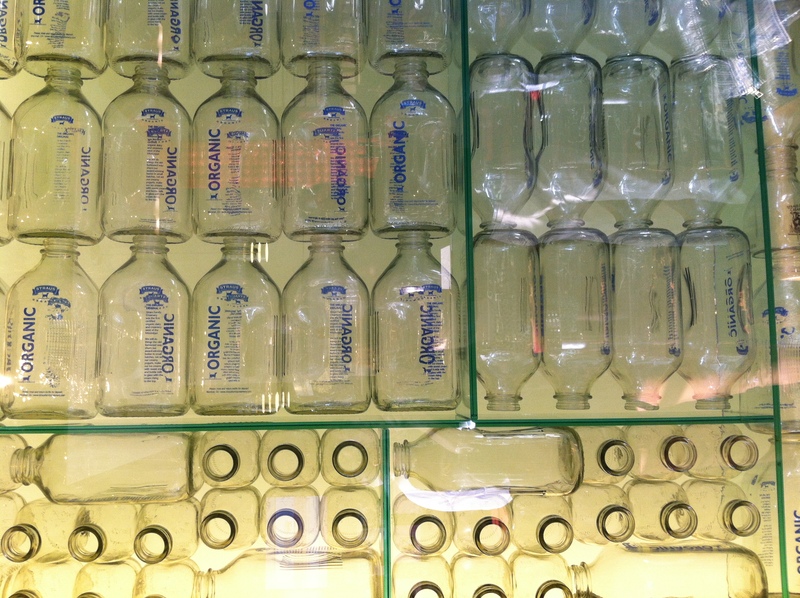 Last weekend was the Natural Products Expo in Anaheim. It is an annual event in California and I believe it is the largest trade show for “natural” products. If you imagine one of Whole Foods largest stores on steroids that is what this show is like. As I relaunch SmartLifeways with more regular posts this seemed like a good place to start. Over the next weeks I will be writing more about the show. It was really well attended-mobbed is more accurate, so get ready for some new products to be showing up at your local natural foods stores. I am sure that it was no coincidence that Whole Foods announced while the show was taking place that by 2018 all products containing GMO’s will be labeled in their stores. This announcement comes as many states across the country are trying to pass legislation or initiate ballot measures requiring GMO products to be labeled. In my opinion five years is way too long for Whole Foods to require labeling but at least it is a step in the right direction. 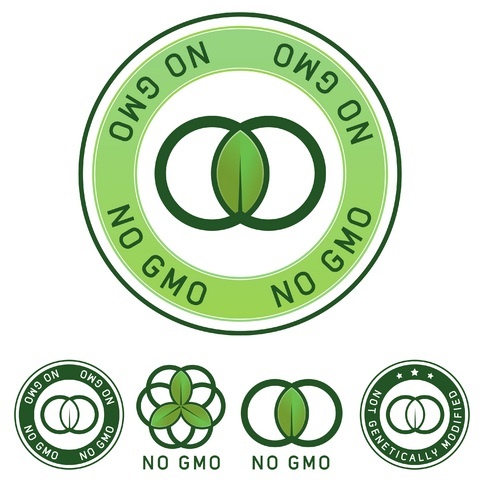 In the meantime the Non-GMO Project is growing incredibly…I will devote a post to their work in the coming weeks. The measure was defeated when over one million dollars a day were pumped into deceptive advertising in the final 30 days of the campaign. Just to throw some figures out, Monsanto donated $8,112.867, Dupont donated $5,400,000 and Pepsico, the Grocery Manufacturers Assoc, Dow Agrisciences, Bayer Cropscience, BASF Plant Science and Syngenta all donated $2 million or more to the No on Prop 37 campaign. Kraft Foods Global came in just under $2 million donating $1,950,500 (maybe they thought we would not notice if it was under $2 million) and Coca Cola North America donated $1,700,500. 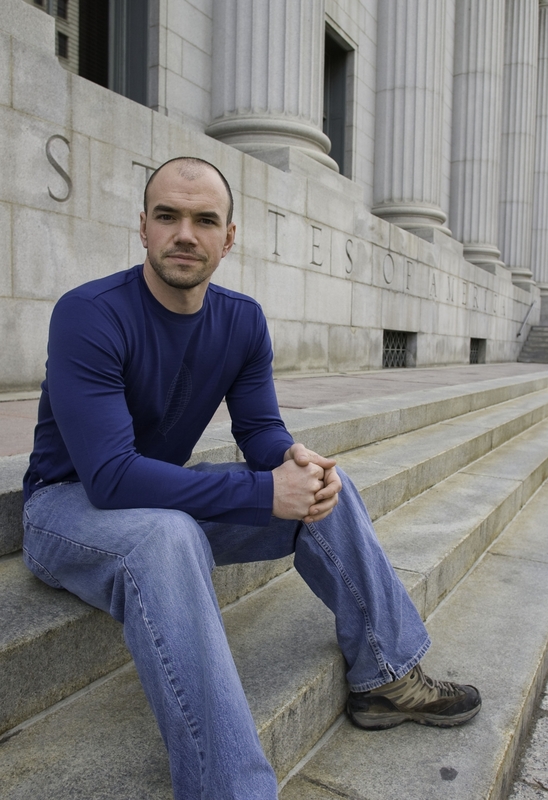 Tim DeChristopher-Environmental Hero and now a convicted felon for bringing attention to an illegal auction. Something is wrong here. 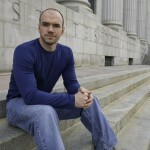 This is a great interview of Tim DeChristopher from Chris Hedges. I wanted to share it since these words are what inspired me to organize a day of solidarity for Tim after hearing him speak last week. I hope that it proves inspirational to you. Tim does an excellent job at connecting the dots when it comes to the issues that we are facing today. So much of what we are challenged with today are inter related and basically come down to the priorities most corporations use for decision making (profits at any cost) and the refusal of our government to put us citizens, who elected them and who they are supposed to represent, first. Whether we are looking at energy policy, our food system, medical care or the collapse of our educational system we can see that something is very wrong, unless of course corporate profits are the reason that we all exist. I think that this is why I see the decisions that each of us make every day to be so important. We have an opportunity to pay attention to what matters most to us and then act accordingly. If we are concerned about the environment what are we doing personally, no matter how small the act may seem. Do we support local farmers or shop at a commercial market to save a few dollars. I know that times are hard but cooking a meal at home costs so much less than buying prepared food and with that savings you can buy organic. If you have an errand nearby could you walk, ride a bike or take the bus rather than jump in your car? There are so many ways we can all make a difference-just turning off the lights you are not using saves energy and that means less demand for coal or oil or nuclear energy. Join a Revolution where we all matter. This Mother’s Day a global mobilization is taking place, organized by youth to bring attention to the realities of climate change and the future they could face if things do not change, and change soon. You can read more about this exciting and inspired organization that was started by 16 year old Alec Loorz, a climate change activist since he was 12! He started Kids vs. Global Warming after watching An Inconvenient Truth and his life, and his families, has not been the same since. He has spent much of the last four years speaking to hundreds of thousands of youth and adults about this. I was lucky enough to see and hear him at last years Bioneers conference. You can hear him too. He was introduced by Dr. James Hansen-pretty inspired company for a 16 year old, and I think that Dr. Hansen would say the same about Alec. Many of us are aware of the changes that we are already experiencing as a result of climate change, and if things continue without significant shifts life could be drastically different on planet Earth in just a few decades. Who will have to deal with these new realities the most? The youth of today and it is for this reason that more and more young people are mobilizing to create real change on a local level and also letting politicians know that we must do something to stop the climate changes that we are experiencing. These young activists may not be able to vote yet but their voices are loud, strong and filled with passion and determination….they see a potential future very different from today and know that we must do more today to prevent such a future. These changes will be to everyone’s benefit. OK maybe not beneficial for big Oil, big-Agriculture, and few other industries, but for the rest of us…..well, we would have a much better world to live in. We have watched the oil spilling, no gushing is more accurate from the exploded deepwater drilling rig. We cannot see what is spewing from Fukushima, but we know that it is dangerous and potentially deadly. We see these events in the news yet there is something else potentially equally dangerous, and maybe even worse, and that is genetically modified organisms in the seed that is used to grow our food. 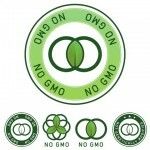 You can watch a very short video about it called CAP THE GENE SPILL from NO GMO on Vimeo. And you can learn more about why this is so dangerous here in this short piece, What’s the Problem with Monsanto. Slowly but surely over the last twenty five years or so GMO’s have silently made their way into our food supply in the US. Many countries around the globe ban these genetically modified seeds and/or have laws that demand proper food labeling so that consumers can chose if they want to eat these scientifically unproved changes to our food. This link will take you to a very informative talk on GMO’s that was organized and moderated by Deepak Chopra-it provides a wonderful discussion of the reasons that we need to retreat from this form of agriculture, and at the very least have the right to chose…….. Learn more and join the growing numbers that are saying NO to GMO’s. If you are wondering what all of the fuss is about GMO’s (genetically modified organisms) in our food then this video will tell you much of what you need to know to learn about what they are and how dangerous they are. You can learn more at the Center for Food Safety web site and also there are a number of stories here at SmartLifeways if you search GMO. I am in the process of organizing a last minute rally in Santa Fe, NM to participate in the Millions Against Monsanto -Rally for Our Right To Know. This is an event to bring attention to the widespread use (and rapidly growing) of genetically modified organisms (GMO’s) in our food supply. 1. We have the right to know and want genetically modified foods labeled. 2. We want factory farmed animal and genetically modified animal products labeled. 3. We want independent, transparent, long-term studies done on the safety of GMOs for animals/plants/humans. 4. We want the organic industry protected from cross-contamination and law suits to organic farmers. So what’s wrong with Monsanto, and the other companies selling GMO seed including Syngenta and Dow? Here are my top issues and I don’t bring in scientific research which does not show that GMO’s are safe. I am not happy with the “generally recognized as safe” attitude of the FDA-most of the submitted studies have come from the companies producing GMO seeds, and how many times have we heard this at first only to learn that our health has been compromised…how about cigarettes? -GMO seed is often created to withstand larger doses of the herbicide RoundUp (also manufactured by Monsanto), it kills all other plant life as well as insects and poisons birds, and then more contaminated runoff poisons our waterways and ground water, not to mention the workers who grow our food. Many believe the over use of such chemicals will have dire consequences such as infertile soil, non productive crops and less nutritious crops. 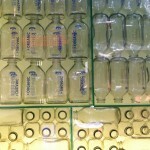 The use of this chemical also is producing super weeds that are becoming resistant to the herbicide. Another type of genetic modification creates plants that actually produce a pesticide. -These GMO ingredients are in so many products, and in effect much of this does not need to be in our food, think corn sweeteners. Farmland could be better used and without pesticides and herbicides. -Farmers cannot use the seed that is left at the end of the season (as has always been the practice) and must buy new seed each year from Monsanto. This puts farmers at the mercy of the company should prices rise on either the seed or the chemicals needed to grow the seeds. This also has created a dangerous dependency on one or a very few companies that control the vast majority of the seeds that grow the food that feeds much of this county and in fact most of the world’s food supply….Scary isn’t it? -Monsanto has taken an aggressive stand and has been suing farmers who have had their fields “infected” with Monsanto seed. Most farmers cannot afford the costly legal battles and settle with the corporate giant, others fight on for years against the billion dollar company. Hundreds of farmers have been sued by Monsanto. -Most animals raised in America are eating feed containing genetically engineered ingredients…and no one knows what this can mean for humans and the animals. 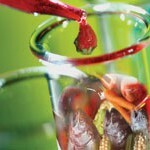 -In the European Union genetically modified ingredients must be shown on food packaging. Genetically engineered crops are banned in much of Europe and the use of these seeds has reduced exports. In addition a recent British study states that GE crops have cost American taxpayers $12 billion in farm subsidies in the past three years. -Monsanto is the creator of Agent Orange (remember they said that was safe too), PCB’s and their bi-product dioxin. Do you want them controlling the world’s food supply? 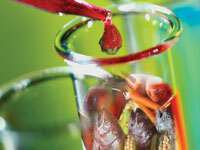 90% of Canola, Soy, Corn, Cotton are genetically modified. If it doesn’t say organic it probably has GMO ingredients. Don’t you have the right to know? Join in the rally to demand accurate food labeling. You will find tools here to assist you in taking action letting our government and markets know that this matters to you. For more information on this important subject check out these web sites and search “Monsanto” on SmartLifeways.